Way back in August of 2012, before Sherri, Lu and I had even had the idea of starting a blog, Sherri and I had taken a trip to Atlanta. Luanne would have been with us on this trip, but it was right after Sherri and I had retired and Luanne had gone back to work for one more year, so it was just the two of us. 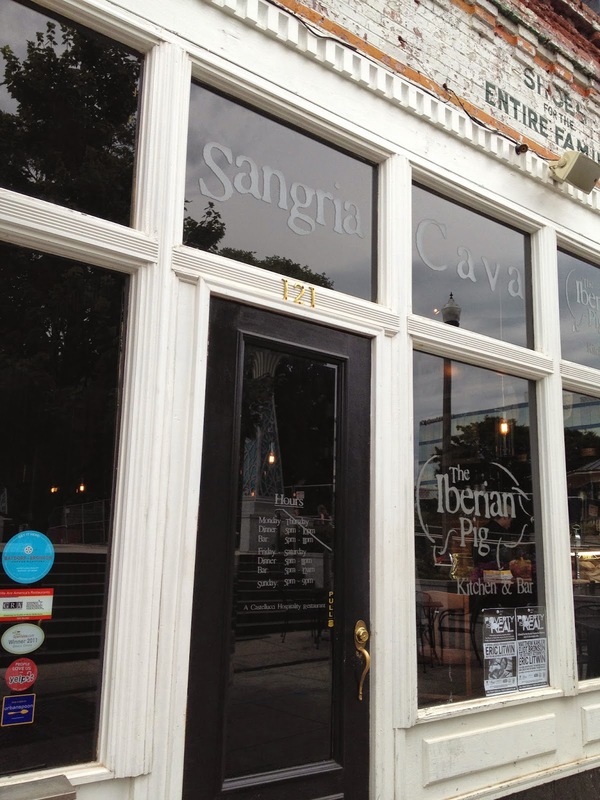 While we were in Georgia, we strolled around nearby Decatur and found a cozy little restaurant called The Iberian Pig. Neither of us had ever heard of it before, but because we have always been adventurers at heart and because anything involving a pig sounds tasty to us, we decided to give The Iberian Pig a try. Since this was in our pre-blogging era, my photographs are not too comprehensive, and my memory has faded on the details of the meal except for a couple of things. Sherri and I had pork cheek tacos and they were fabulous. You are shocked, right...that I had tacos? We also had a tray of cured meats and cheeses that included the meat from the famous black footed Iberian pigs of Spain. Jamón Ibérico is considered one of the most prized cured meats in the world. The cheeses on the platter were amazing as well. For dessert we couldn't resist cinnamon sugar dusted churros served with a chili infused chocolate sauce for dipping. Altogether the meal was outstanding and we were so happy that we had chosen The Iberian Pig for our dinner that day. As we left The Iberian Pig, we checked out all the cute shops nearby. This nearby restaurant caught Parker's eye and she had me snap a picture. You see Parker standing there under her name, of course, but if you look closely at the reflection in the glass, you can see me taking the picture. It was a fun day of sweet memories. 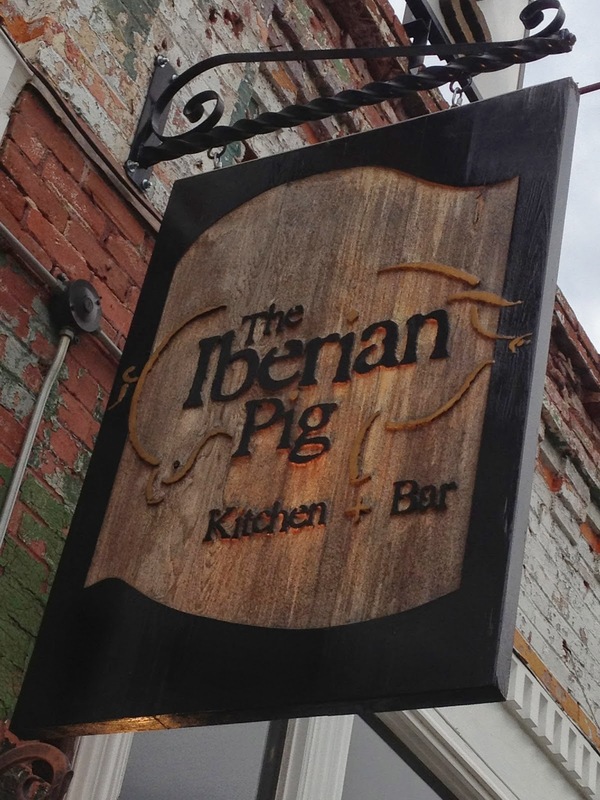 If you have a chance, head for Decatur, GA and drop into The Iberian Pig for a full on pork experience. 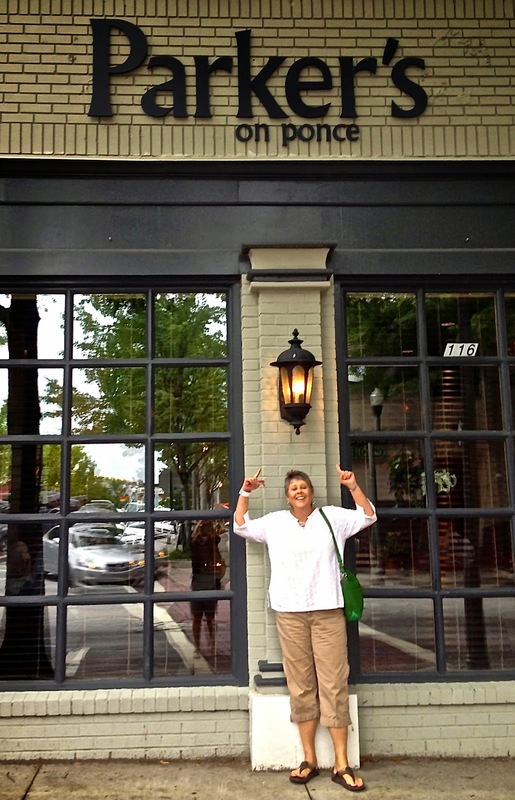 Then stop by Parker's on Ponce and take a picture in honor of Parker. Three Friends and a Fork gives The Iberian Pig 3 Porky Yums UP!